Equality Minister Helena Dalli’s husband pocketed €15,000 from the Prime Minister’s Office for “the provision of an oil on canvas painting” endorsed by State cultural agency Heritage Malta. 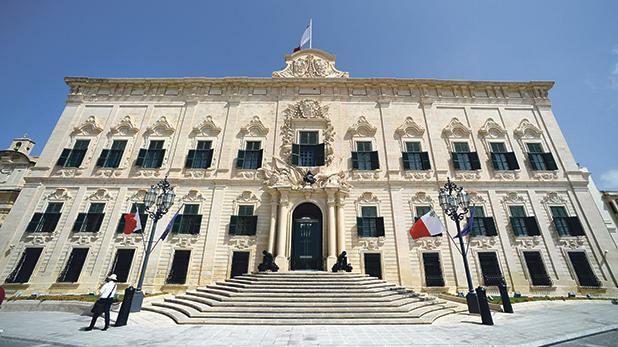 Patrick Dalli, who is himself an artist, was awarded the contract in the first half of last year by the Finance and Administration Directorate within the Office of the Prime Minister. Though the acquisition was listed in The Malta Government Gazette of November 3, 2017, there was no reference to it in the acquisitions section of the Heritage Malta 2017 annual report. The decision to award a deal worth €15,000, without VAT, to the spouse of a Cabinet member raises questions on the procurement process. It could not be ascertained whether the work of art was produced by Mr Dalli himself or if he was tasked with making the necessary arrangements for its acquisition. Times of Malta sought to clarify on what grounds had Mr Dalli been awarded the contract and whether he had been selected following a public call. However, he was not forthcoming when contacted by this newspaper. “I do not recognise the Times of Malta [as a proper newspaper]. You have harmed me a lot in the past,” Mr Dalli kept insisting during a brief phone call. No reply was received from the Office of the Prime Minister. Three years ago, The Sunday Times of Malta had reported that Mr Dalli was providing “voluntary help” to produce an abstract memorial for Dom Mintoff. At the time, he had refused to comment on the matter, but according to the Office of the Prime Minister he was one of several artists lending a hand in the project. The government had insisted he was not being remunerated for his services.